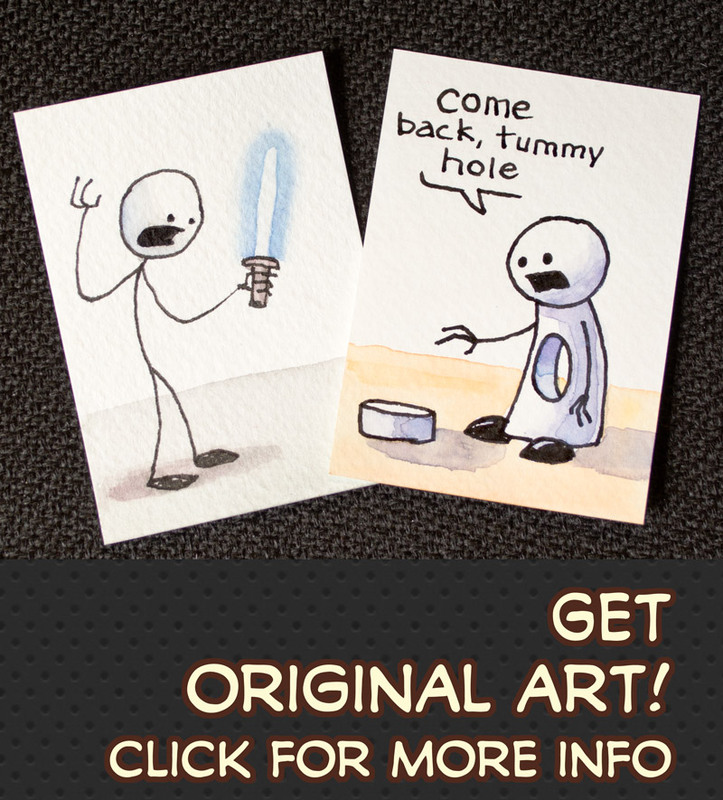 You are currently browsing the Stick Figure Sketchblog & Webcomic Creator @ Stewped.com weblog archives for July, 2006. Here is the artwork for the contest everybody. As most folks seem to have understood, write you scripts by numbering them with panel numbers. There are 8 panels (for those of you that can’t count). Entries are looking good so far! I think this is some of my best drawing yet, so the winner is in for a treat. Edit:Â You have until the 15th of August to enter the contest. Kinda funny looking. I used horses and giraffes for leg references. Here it is and a refresher for you if you forgot what happened on page 1. I probably spelled that word incorrectly, but screw it, I am going to have a contest! I sketched a comic out a long time ago and then i lost it. Now i have found it but I can’t for the life of me remember what the words were and only vaguely remember what the punchline was supposed to be about. My part: I am going to finish the comic up to a point. Now comes your part. More work on my part: If your words are funny I’ll put them into the comic and post it on the site. I will then send the winner the original artwork as a consolation prize for doing half of my job for me. Really, I can only remember that it had something to do with gift receipts and that Stew said mean things and made the girl cry. It can be anything that fits the pictures without being overly disgusting and fits the charaters. It must be awesome and make me laugh. Here is a preview of what I had and what I was thinking. Kinda. I will post a better version for you to look at and what-not soon. Email me your submissions with the subject Forgotten Contest or something like that to aj(dot)stewped(at)gmail(dot)com . ** Edit: This will run for a while. Until I get a really great entry or I just don’t get anymore submissions. I have just printed this out so that I can draw it on real, live, dead trees. 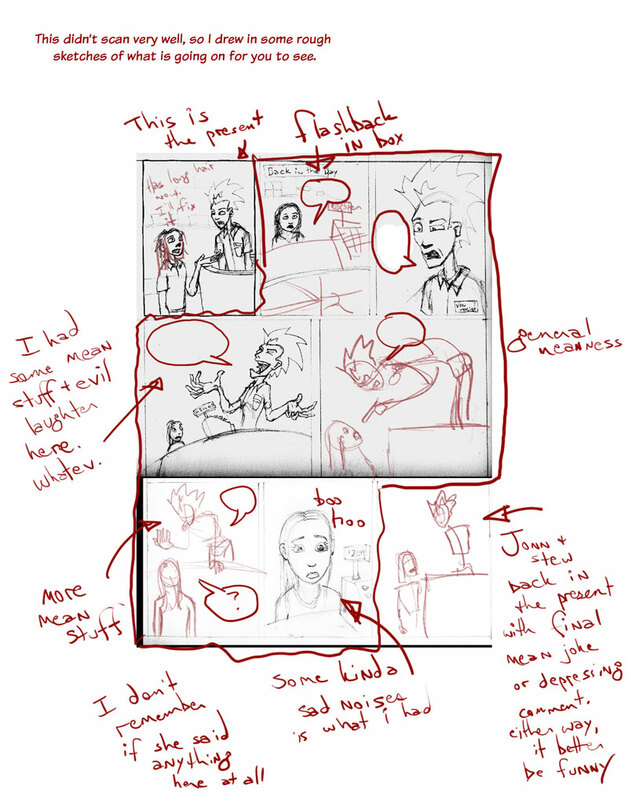 The first page was completely digital, but I want to move away from that because the feel of paper is seksie. I’m not dead. I’m drawing right now. I have been busy fighting the undead and feeding the homeless to the hungry. Also, in regards to a drawing of a cow I have been requested to draw, I have been out looking at them so as to draw it better. 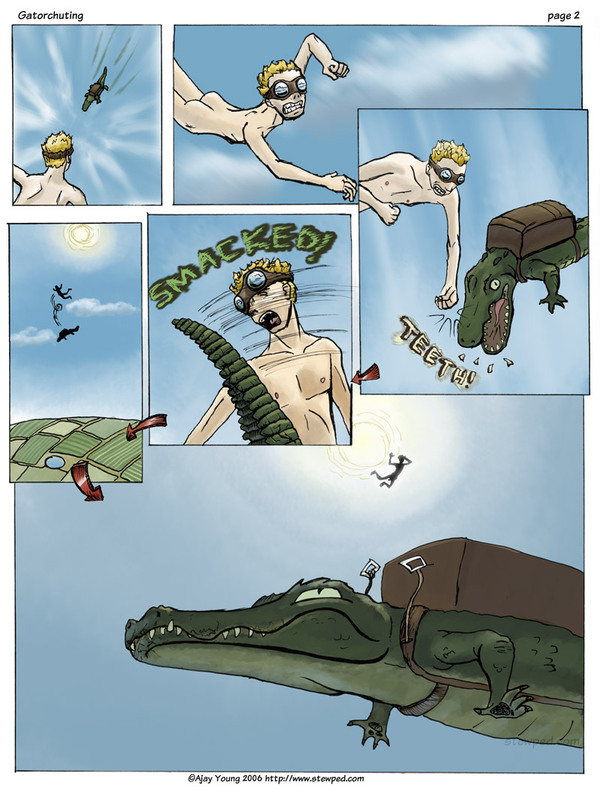 Page 2 of the Gatorchuting comic is in progress. It is nice to feel wanted and loved, if only for my comicals. 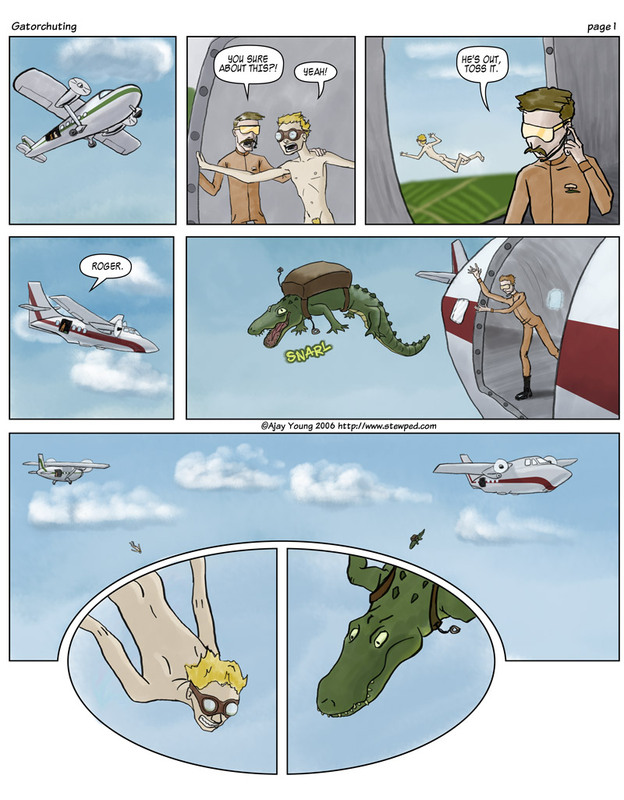 Oh man do I need me some new webcomics. Hook me up, won’t you?